PHOENIX, Jan. 23, 2019 — (GLOBENEWSIRE) GlobalTranz Enterprises, Inc., a leading technology and third-party logistics solutions company providing award-winning Transportation Management System (TMS) products to shippers, logistics service providers and carriers, announced today that Bob Farrell, executive chairman of GlobalTranz, will share his expertise with attendees at two supply chain conferences this month. At BG Strategic Advisors Supply Chain Conference, Farrell will speak on the panel, “Dealmaking in the Supply Chain Market: Who is Winning and How?” on January 24th, and is slated to speak on the panel “E-commerce And The Changing Freight Landscape,” at SMC3’s Jump Start 2019 on January 28th. BG Strategic Advisors Supply Chain Conference, known as “the industry’s only CEO-level conference focused on all segments of the supply chain,” will focus on the newest supply chain technologies, the voice of the customer and what to look forward to within the industry. Taking place in Atlanta, GA, SMC3’s Jump Start 2019, known as “the definitive supply chain gathering,” has a strong focus on networking with professionals across all verticals. 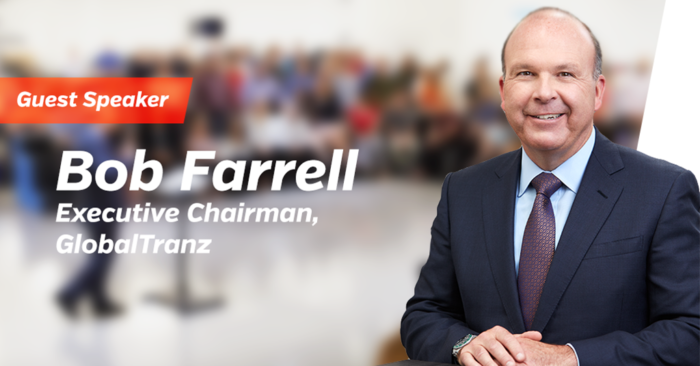 Farrell’s speaking engagements come on the heels of the company’s recent release of the new GTZcommand™ TMS and continued stellar growth, including eight acquisitions since January 2017 Ranked the 10th largest freight brokerage in the US by Transport Topics and voted an Inbound Logistics Top 10 3PL for 2018, GlobalTranz is driving strong results with 25,000+ customers through technology innovation, a network of 34,000+ carriers, transformative M&A, creative solutions and superior customer service delivered by the best people in the industry.